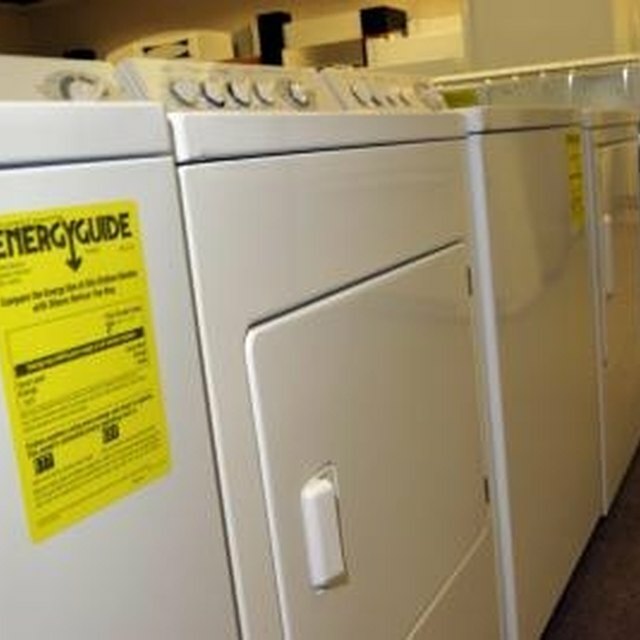 A common reason for a clothes dryer to malfunction is a faulty heating element. The element is what provides the heat within the dryer and enables the clothes to dry. You can change the heating element on your Kenmore 80 Series 64892 clothes dryer yourself and save the fees associated with calling a repairman. It's advisable to rule out any other problems first, such as your electrical supply, thermostat and fuses. A clothes dryer helps speed up the process of doing your laundry. Unplug your dryer from the outlet and remove the back panel with a screwdriver. Pull the heating element wires away from the vertical can that holds the element with needle nose pliers. Remove the two screws from each side of the heating element and pull it out. Use the screwdriver to remove the thermostat from the old heating element. Attach the thermostat onto the new heating element and screw it into place. Attach your wires from the new element to the vertical can. Place the rear panel back onto the dryer and attach it with the screws. Plug the dryer into the outlet and test it to see if it is heating up and operating properly. Make sure the dryer's venting hose is clear and you have good airflow before trying out your new heating element.